You are viewing the julianna baggott tag archive. One of my favorite things about attending ALA’s Annual Conference is all the fantastic author events that are available, and 2013 in Chicago did not disappoint. I went straight from YALSA’s YA Author Coffee Klatch (awesome) to the 2013 Alex Awards Presentation. This was the first time I had attended this particular program, and it was a great way to hear directly from some of the winning authors about their books and the experience of winning the award. First up was comic artist Derf Backderf (whom we interviewed back in March), whose chilling memoir, My Friend Dahmer, chronicles his high school friendship with a classmate who would later become one of America’s worst serial killers. Backderf shared a number of images from high school that seemed freakishly prescient; one of his drawings showed Dahmer stuffed into a grocery bag, an image that meant nothing at the time but in retrospect was just, in his own words, “incredibly creepy.” Yearbook photos from which Dahmer was also blacked out of yearbook photos after a prank to sneak him into group photos was discovered — which all too clearly paralleled the neglected teen and his feelings of isolation as he became increasingly marginalized during his senior year. It was a very powerful presentation, and there were many questions from the audience, including a woman who asked Backderf’s opinion about a forthcoming YA title seen in the exhibit hall in which a teen named Jeff Jacobson realizes he has been cloned from Jeffrey Dahmer’s DNA (you can’t make this stuff up, folks). At the ALA Annual Conference in Chicago, the Alex Award program featured three of the ten authors who won Alex Awards in 2013: Derk Backderf (My Friend Dahmer), Julianna Baggott (Pure), and Robin Sloane (Mr. Penumbra’s 24-Hour Bookstore). When the panel was asked whether they were writing with a teen audience in mind, only Baggott had a sense of teens as potential readers. But then, Baggott has published seventeen books, targeted at all age levels. Neither Backderf nor Sloane thought about the age of their readers at all. What is it about these books, then, that place them in the category of Adult Books for Teens? 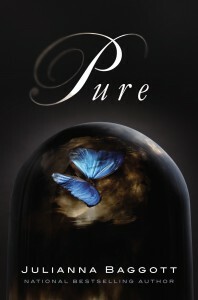 One of YALSA’s Alex Award winners, Julianna Baggott, is hard at work on her third installment of the Pure trilogy, Burn. She will be answering questions in a panel of Alex Award recipients on June 30th at the ALA Annual Conference in Chicago. She agreed to answer some questions for the Hub about her thrilling series. 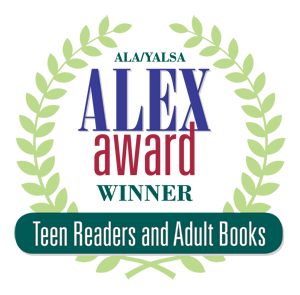 If you’ve read an adult book that you think would appeal to teens, be sure to suggest it to the Alex Award committee! Science fiction often says more about the time period it was written than the imagined future society. What parallels do you see between our current social experience and your imagined world? I think that the rise of post-apocalyptic fiction in mainstream literature does reflect current global instability and fear — for adults. However, I think there’s a deeper, more lasting psychological resonance with the apocalypse for teens. And, maybe I’m revealing too much personally, but I think that childhood can represent a kind of pre-apocalypse, a cocooned and protected time that is then ruptured by adolescence. In other words, the teen years are post-apocalyptic and science fiction with this lens is, surely, not realism, but I think a case can be made for psychological realism. What trends did you extrapolate on that led you to envision the culture in Pure?